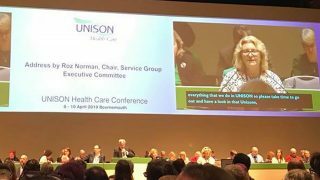 The example of what happened with a hospital trust in Northern Ireland is a timely reminder of how UNISON’s approach to health and safety is bearing fruit, ahead of European Health and Safety Week 2014 later this month. 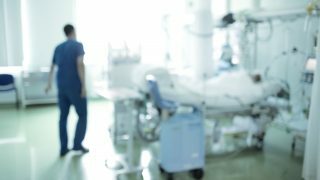 UNISON Royal Hospital branch in Northern Ireland faced a wide range of problems including a lack of maintenance work, beautifully polished floors that were a huge slip hazard, and leaking roofs. The employer, Eastern Health and Social Services Board Royal Group Hospitals (now the Belfast Trust) had little knowledge of health and safety law, but enjoyed crown immunity that protected it from being prosecuted. 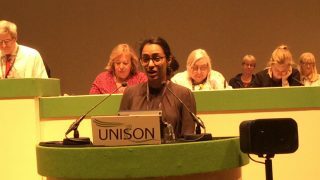 The local UNISON branch took the lead in calling for a joint health and safety committee. Local activists worked with other trade unions and in just three weeks the employer agreed to establish one. 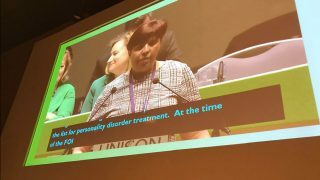 After the first meeting UNISON quickly established a leading role in getting changes made. The roofs and floors were sorted. The UNISON safety reps began to map the workplace and introduce workplace safety inspections. Other problems were identified. Back injuries were a huge problem leading to many ill health retirements, but intervention and actions has seen this reduced to just 5% of what it once was. Needlestick injuries were also a huge problem, with multiple injuries caused by their poor disposal. So local negotiators worked hard to negotiate a policy change and the introduction of safer systems. Some members within the waste team were suffering multiple injuries – up to 10 injuries each over a short period, costing thousands in compensation each year. With pressure from the branch safety reps, the employer was convinced to purchase the appropriate safety gloves – protecting the health and safety of workers and saving the employer money. The branch also identified the importance of engaging colleagues about health and safety. This revealed the huge waste from poor health and safety – such as staff with 30 years experience being lost following work injuries that could have been avoided. The branch and employer now have a good record of joint working. There is a functioning joint health and safety committee, and while only 3% of employees were originally covered by a risk assessment, it’s now 98%. Outstanding compensation claims have been reduced by 70%, but more important is the reduction in accidents and ill health retirement due to work related conditions. Safety reps from the branch have won awards for their role three times over the last seven years. The employer has now also won health and safety awards for its developments and safer systems. The Royal Hospital example shows that huge gains can be made for members on health and safety. European Health and Safety Week 2014 runs form Monday 20 to Saturday 26 October.